You’ve no doubt heard of Medical Thermal Imaging (MTI), but do you really know the reasons behind its proven effectiveness? Not only is it safe and extremely effective, but its patient-friendly methods are increasingly sought by health and wellness supporters of all ages. Medical Thermal Imaging is a non-invasive system void of radiation and an FDA-registered American innovation that is proving its value daily. 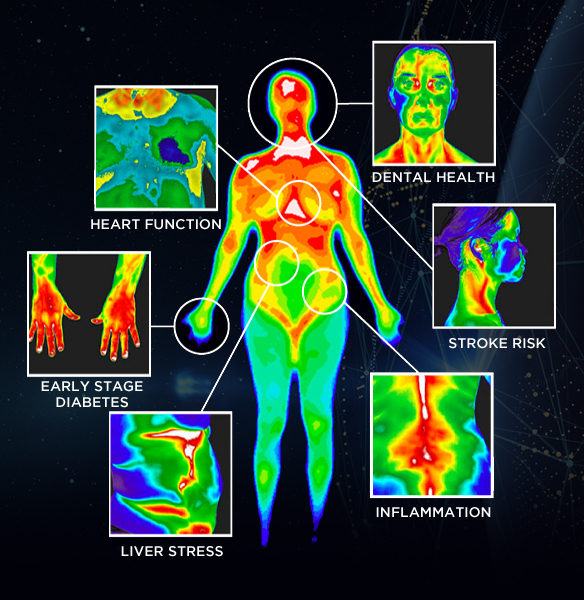 PSY-TEK’s MTI system relies on research grade, high-resolution, infrared cameras that read body surface temperature patterns, which can reveal underlying health conditions such as inflammation, angiogenesis and congested areas, just to name a few. What Can THERMAL IMAGING Monitor? Thermal Imaging does not use radiation, is no-touch, and is perfectly safe for breast implants. Psy-Tek’s Thermal Imaging system uses an FDA approved device, and provides the necessary tools to allow and respect privacy for its clients. Our highly trained and certified technicians provide the very best support and experience. Thermal Imaging is also approved as an adjunctive test, and is not intended to replace mammograms, ultrasounds or any other traditional imaging modalities. 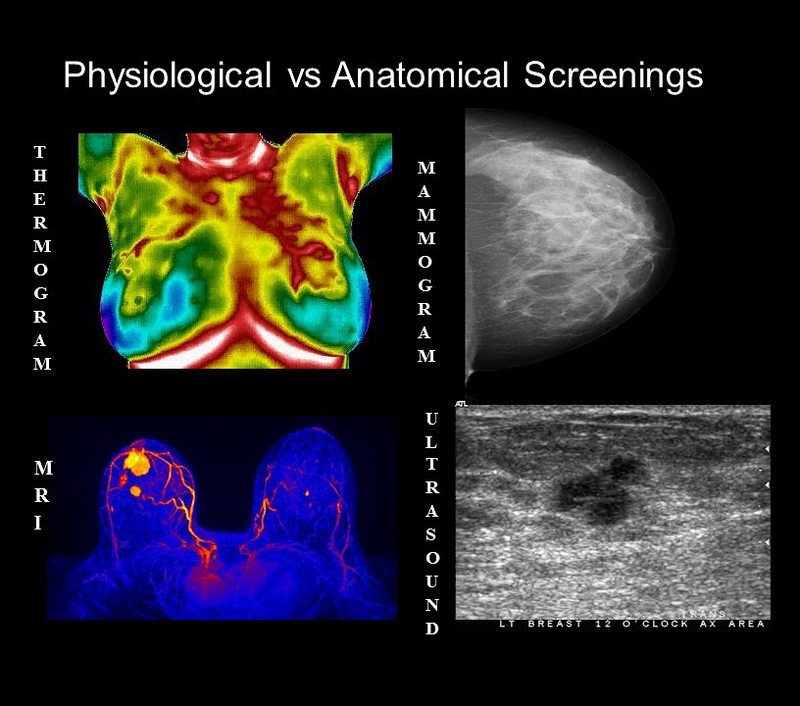 Imaging of the breast is not intended as a cancer detection test, as it does not suggest, confirm or rule out the possibility that cancer exists in the breast or any other area of the body. Humans are a source of infrared energy that can be perceived by infrared cameras. Thermography views what cannot be seen by the naked eye. It senses heat. Where there is activity, there is information to evaluate. By measuring changes as small as 1/100th of a degree in the body’s radiant heat, Psy-Tek Labs can see “bio-markers” or indicators. Published medical research confirms that these indicators can reveal toxins, and abnormalities in the heat patterns. The advantage of Thermography is its high specificity and its absence of radiation. Thermography reads body surface temperature patterns, which can reveal underlying health conditions such as inflammation, angiogenesis (creation of new blood vessels) and congested areas, just to name a few. Because of these advantages, Psy-Tek Labs uses thermal imaging as a solution for non-invasive health studies, as well as research and clinical applications. Our Thermal Imaging Equipment is top of the line. As a research facility, Psy-Tek Labs employs radiometric camera technology that far exceeds the accuracy of imager technology. Radiometric indicates that approximately 800,000 pixels of information can be viewed in one square inch. Each pixel provides a heat value, which increases accuracy detection, and improves comparative analysis. How did we get here? Originally adopted in World War II, as a method of tracking troops and movement in the dark and at great distances, thermography is currently and extensively used in construction, industry and medicine. Upon its declassification in the 1960s, the National Cancer Institute accepted the use of thermography for breast imaging, which now serves as an adjunct to mammography.